Bernie Sanders has dubbed his presidential campaign a “political revolution,” but some of his supporters are rebelling against the very party he is hoping to lead. 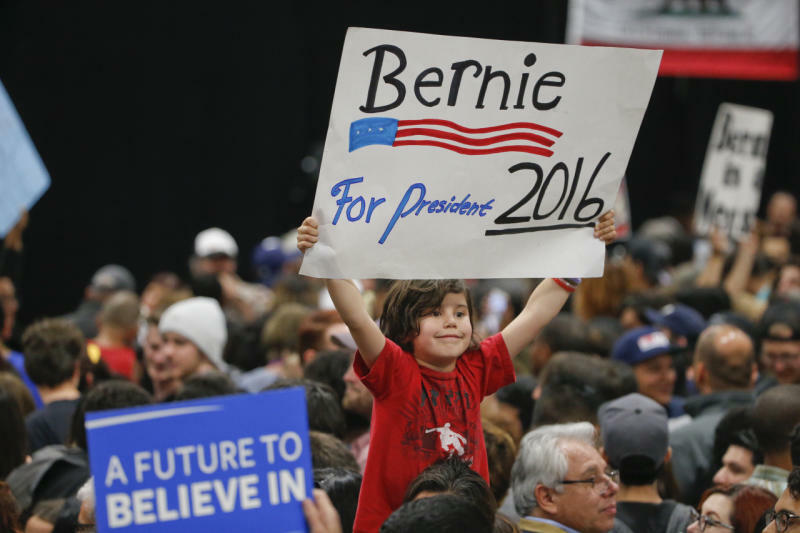 A voluble group of die-hard Sanders backers is vowing online that it’s “Bernie or Bust,” saying they will never support his presidential primary opponent — and, at this point, the likely Democratic nominee — Hillary Clinton. Nearly two months after voting began in the Democratic primaries, Clinton has racked up a lead among pledged party delegates that makes a Sanders victory increasingly implausible. 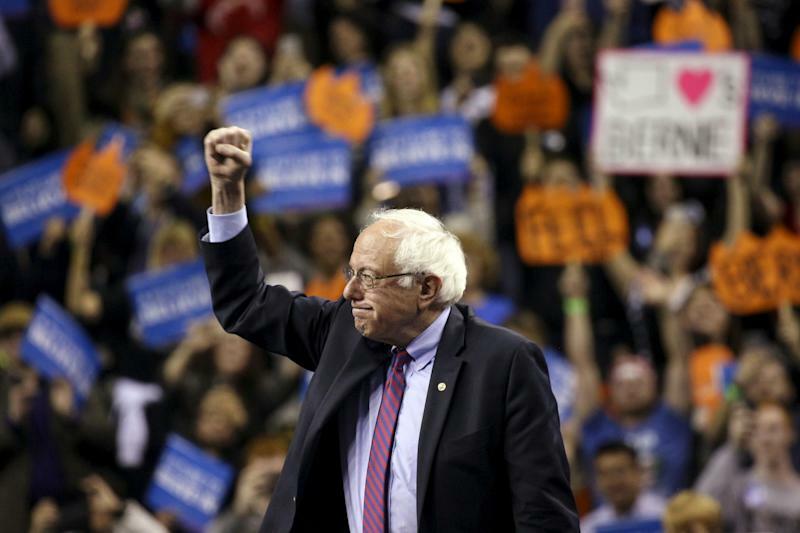 In apparent recognition of this mathematical challenge and the need to begin aiming fire outside the party, Sanders in recent weeks has pivoted away from Clinton and toward Republican frontrunner Donald Trump. Yet at the same time Sanders is making the case that he’s actually more electable in a matchup with Trump, he has also started talking about the circumstances under which he would endorse Clinton. His senior adviser, Tad Devine, has even suggested that Sanders would consider serving as Clinton’s running mate. Despite these glimmers of reconciliation with his rival, Sanders may have unleashed a rebellion that will be beyond his power to control when it comes time to unify the party. Some “Bernie or Bust” stalwarts say they won’t back Clinton even if Sanders joins her ticket. After Clinton’s string of victories in the first weeks of March, this weekend begins a favorable stretch of the primary calendar for Sanders. This kicked off with a sweep on Saturday, with wins in the caucuses in Hawaii, Alaska and Washington. This momentum means that there’s little reason for some Sanders backers to reconsider their primary season passions anytime soon. Russ Belville is an Internet radio host and marijuana legalization advocate based in Portland, Ore. In late February, he wrote a column for the Huffington Post laying out the bones of the “Bernie or Bust” position. In a conversation with Yahoo News earlier this month, Belville said Clinton couldn’t get his vote even by joining forces with Sanders. “If Bernie Sanders were to accept a vice presidential bid from Hillary Clinton, it would so disillusion me to the integrity of Bernie Sanders that I don’t know what I would do. I can’t even conceive of him accepting that offer,” Belville said. James Scolari, a photographer in Los Angeles, echoed that view. Clinton’s campaign declined to comment on this story. 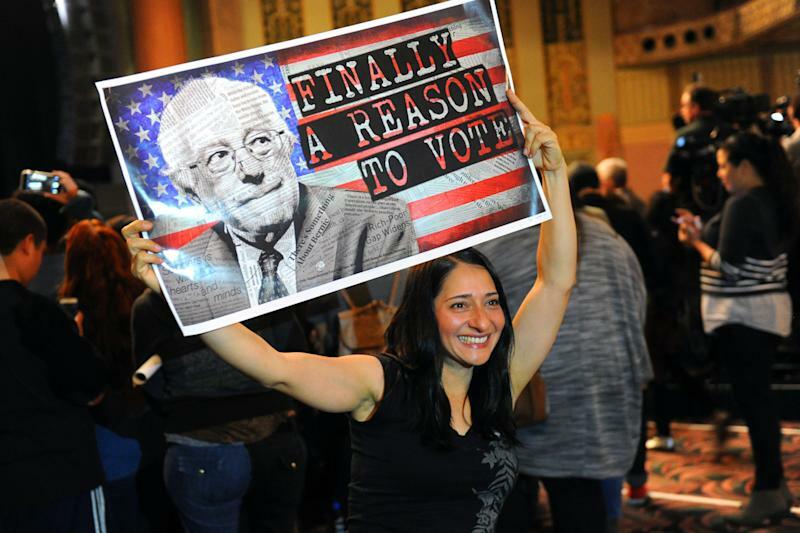 The “Bernie or Bust” voters who spoke with Yahoo News cited several areas where they view Clinton’s policies as insufficiently progressive, including her stance on military intervention in the Middle East, fracking, the minimum wage, Wall Street regulation and campaign finance reform. They also pointed to instances where she has changed her position, such as on gay marriage, the Keystone pipeline and the Trans-Pacific Partnership. Michael Moore, a 36-year-old Iowan who volunteered for Sanders in his home state and neighboring Nebraska, said he won’t vote for Clinton if she’s the party’s nominee. “She has always embodied whatever was most politically expedient at the moment, and she has come very clearly on the … neoliberal corpus of hawkish foreign policy and pro-corporate policies that very often harm individual Americans,” Moore said. Data compiled by Twitter for Yahoo News shows there were about 110,000 total tweets sent with the #bernieorbust hashtag in the month from Feb. 8 and March 8. The number of messages peaked on Feb. 28, the day Clinton began to pull ahead with a huge win in South Carolina’s Democratic primary. A search on Facebook showed that as of Friday afternoon, there were about 100,000 conversations with the #bernieorbust hashtag on that site. “Bernie or Bust” is not a position Sanders would want his supporters to take, says liberal radio talk show host and author Bill Press, a longtime ally of Sanders’ who hosted an early strategy meeting for Sanders’ campaign at his home in Washington, D.C.
Sanders is not exactly a part of the mainstream Democratic establishment. For more than two decades in Congress, Sanders identified as an independent, though he generally voted with Democrats. He only officially registered as a member of the party last year, after announcing his presidential bid. Naturally, many of Sanders’ supporters are independent voters rather than party stalwarts, as well. Press is similarly distant from the party establishment. Last month, he published a book that made the case that President Obama “let progressives down.” The back cover featured an admiring blurb from Sanders. Nevertheless, Press is adamant that his fellow liberal Sanders supporters should back Clinton if she manages to win the primary. “Just to make it clear, I’m for Bernie. If Bernie doesn’t get the nomination, in a New York heartbeat I’m for Hillary, enthusiastically. Enthusiastically!” said Press, repeating himself for emphasis. Press argued there is “too much at stake” for progressives to war among themselves and potentially aid a Republican candidate. Indeed, “Bernie or Bust” has generated backlash from liberals who believe the phenomenon could benefit the GOP. This criticism has been particularly fierce because Donald Trump is currently leading the Republican pack and many Democrats view him as an especially dangerous candidate. 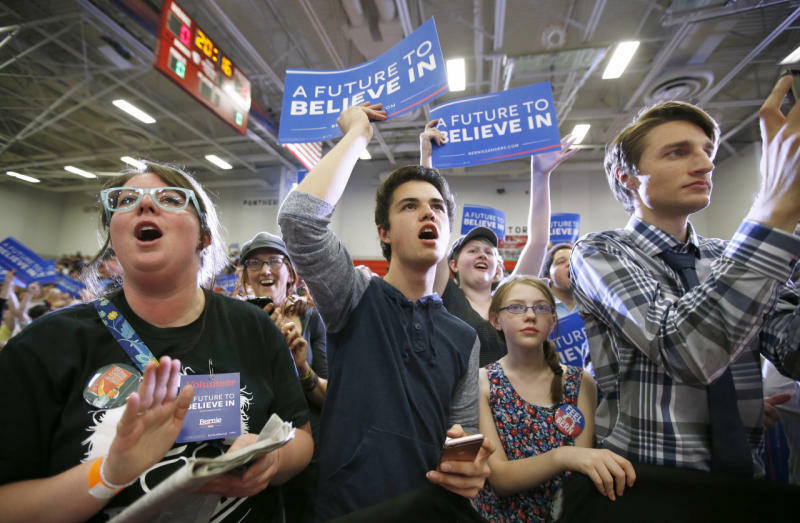 However, many of the “Bernie or Bust” voters who spoke to Yahoo News said they were not deterred by the prospect of a Trump presidency. Matt Rogina, an assistant chef’s instructor in California, said he’s more concerned about sending a message to the Democratic leadership. Belville, the radio host who wrote the “Bernie or Bust” column, argued that electing Clinton could cement American politics in a “far-right/center-right” state. Though he acknowledged Trump could “do some dastardly things” in office, Belville believes those problems “would open up a lot of people’s minds to more progressive solutions” and move the country to the left. Moore, the Sanders campaign volunteer from Iowa, is also not concerned about the possibility he could help the GOP by hewing to the “Bernie or Bust” strategy. Scolari, the photographer, took things a step farther. He said he plans to vote for Trump if Sanders bows out. Obama survived the PUMA rebellion — and data shows Clinton’s standing within the party is comparable to his at this point in the cycle during the 2008 election. A Bloomberg/L.A. Times poll from February 2008 showed that Obama had a net favorability of 78 percent among Democrats, while just 13 percent viewed him unfavorably. An ABC News/Washington Post poll released on Tuesday found that Clinton has a nearly identical net favorability of 74 percent among Democrats. While her net unfavorability was 25 percent, higher than Obama’s, she has universal name recognition among Democrats. In 2008, about 10 percent of party members said they had not heard of Obama or did not know enough to have an opinion about him. Though he disagrees with the “Bernie or Bust” strategy, Press said he understands the sentiment behind it. Indeed, all of the “Bernie or Bust” voters who talked to Yahoo News said they voted for Obama in 2008 and have been disappointed that his administration has proved not to be sufficiently progressive. Kirn, the cinematographer, said he believed he was supporting someone like Sanders when he voted for Obama in 2008. Moore, the Sanders campaign volunteer, said he has been drawn to a more activist approach since voting for Obama. That attracted him to Sanders — and it’s also why he won’t follow along if Sanders lines up behind Clinton. This post was updated on March 27 with results from the caucuses in Alaska, Hawaii and Washington.